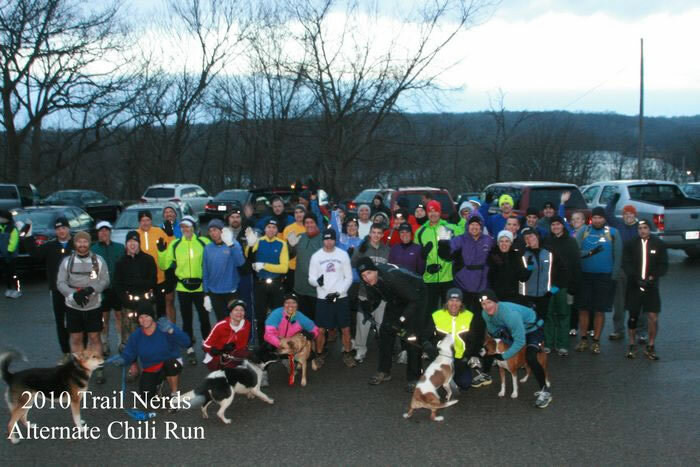 The KC Trail Nerds did their 9th Alternate Chili Run at Wyandotte Co. lake. The Nerds start early and do the tough WyCo trails before the rest of us start off to circle Wyandotte Co. lake on nice asphalt roads at the MARA sponsored Chili Run. 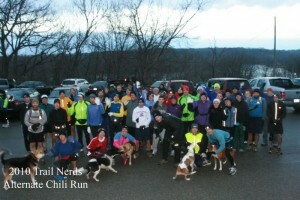 The Alternate Chili Run is a great preview of Run ToTo Run aka PsychoWyCo which happens February 12, 2011. Check out the Trail Nerds link on this site for more info on all things off road.